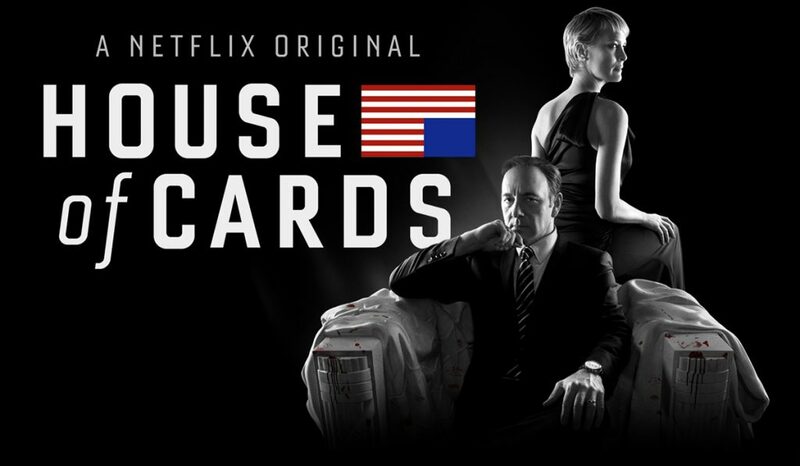 House of cards was the proof that online networks are just as prolific as traditional networks. Created by Netflix and Beau Willimon, this political drama shows the public’s appetite for mystery, mind games, and intelligent filmography has increased exponentially. We are no longer interested in cute, funny series that keep us smiling. No! We want to understand how the world is wired and this is exactly what House of Cards does. The first season premiered in 2013 and the drama is still running today with a fifth season in place for 2017. The story is focused on the game of power plaid by Congressman Frank Underwood and his wife Claire. Frank misses the opportunity of being appointed Secretary of State, a position he so much wanted and becomes obsessed by the idea of getting an even better position. Claire is just as conniving and ruthless as her husband and she helps him in this merciless game where the most intelligent and cruel wins. The story shows them united in the fight for power but divided in the intimacy of their couple and home. Frank is constantly cheating on his wife but they keep the appearances of a happy, high-class couple. Of course, when you play such a ruthless game you are bound to step over some bodies and make a few enemies. Well, Frank and Clair have their fair share and they always tend to pop up at the most inopportune moments, sometimes almost ruining carefully laid out plans. Still, the couple always comes back with grace and fresh forces, fighting to get what they consider it’s rightfully theirs. Frank Underwood is brought to life by Kevin Spacey whose immense talent is perfect for such a mind-blowing series. Claire, the cold, calculated wife is embodied by Robin Wright, an extremely talented actress with many years of acting experience. The two talented actors managed to create a wonderful reality where political games are to be played by the best in the branch. 33 Primetime Emmy Award nominations – the series is actually the first production of an online network to receive major Emmy nominations. 8 Golden Globe Award nominations – Wright won Best Actress – Television Series Drama in 2014 and Spacey won Best Actor – Television Series Drama in 2015. When it comes to critics and audience, all the 4 seasons were received well and many consider this series as being binge-worthy. The fresh scenario and good writing accompanied by amazing actors make this series a unique and powerful drama for people all over the world. So, if you didn’t believe that a series about playing dirty, corruption, power games, and politics in general could be interesting, maybe it’s time to watch House of Cards.